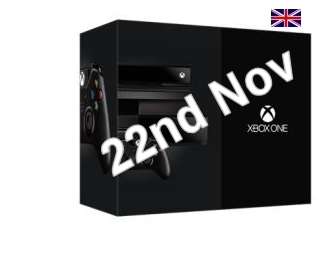 Microsoft has finally confirmed that the eagerly awaited Xbox One console will be released in the UK on Friday 22nd November 2013. This is one week earlier than the Sony PS4 console launch and sets the start line for the first console war since 2006. The thirteen countries which initially get the Xbox One launch are UK, USA, Germany, Australia, New Zealand, Austria, Ireland, Canada, France, Brazil, Mexico, Italy and Spain. Other countries will have launches in early 2014 (yet to be announced). Microsoft also announced new Day One Edition which includes a free downloadable copy of Forza 5 car racing game. This is is addition to the Day One Edition console with FIFA 14 which has already sold out at many retailers already. The console is currently in full production with the first batches currently rolling off the production line. With the current level of interest in the console with many retailers now stopping taking pre-orders stock shortages are now highly likely in the weeks leading up to Christmas.